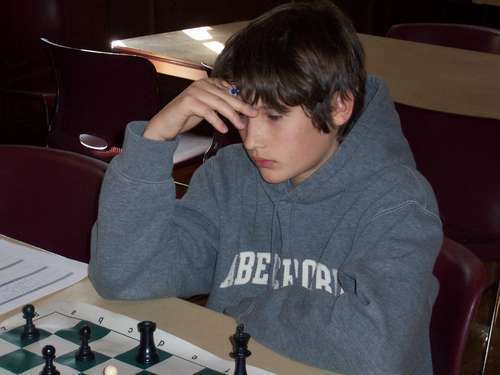 ChessMaine: 2006 Goes Out With A Bang! 2006 Goes Out With A Bang! 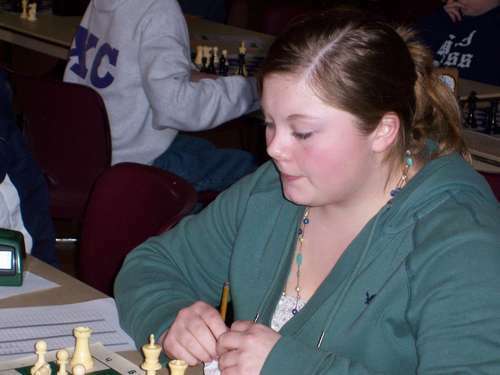 12.31.06 Players made fireworks of their own at the John Bapst Memorial High School New Year's Tournament in Bangor as thirty-three of them faced off in four rounds of fighting chess. When the dust had settled, it was Ghezai Menelik topping the Open section with four points, Gabe Borland, J. Paul Ciarrocchi and Henry Chai all tieing for first with three points in the U1400 section and Patrick Hall with a perfect four for four in the U1000 section. 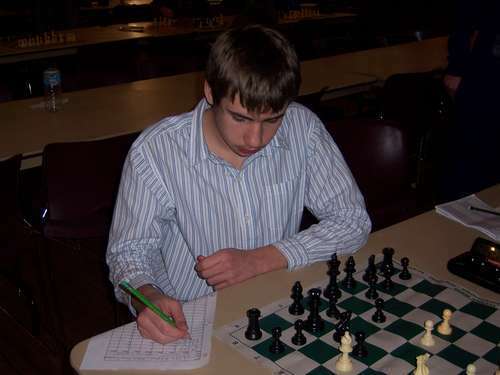 We bring you the illustrated tournament report with crosstables. 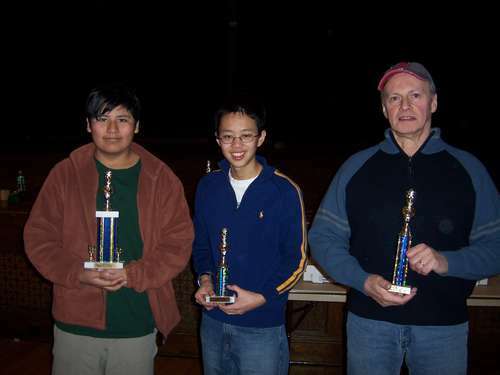 Thanks to Tournament Director Steve Wong, Tournament Organizers Bob Solinger and Mary Eyerer, Friends of Bapst Chess, volunteers and players for making this tournament a great success. 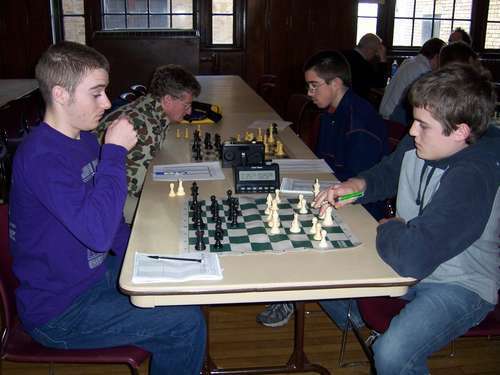 Fritz Eyerer makes a move vs Murray Bridges while Mark Maynard (background left) ponders the position in his game with Ian Pelletier at the John Bapst Memorial High School New Year's Tournament. 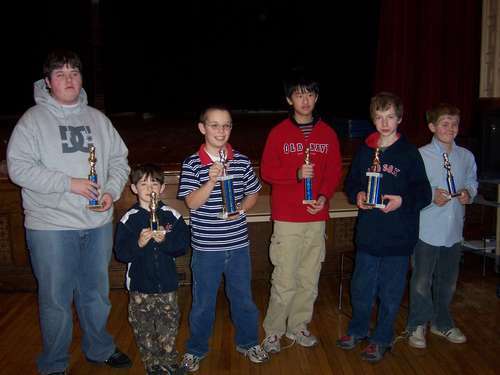 Winners in the U1000 section (left to right) Jeremy Milton (third overall), Max DeLuca Lowell (first K-3), Patrick Hall (first overall), Jaiwei Zou (first K-8), Reid Horton (second overall) and Jase Caron (first K-5). 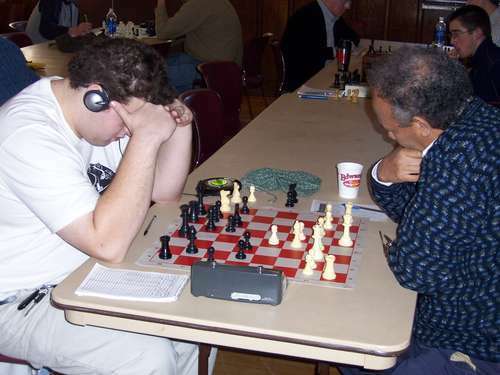 Tony Cesolini (left) plays Ghezai Menelik in their tense third round encounter. 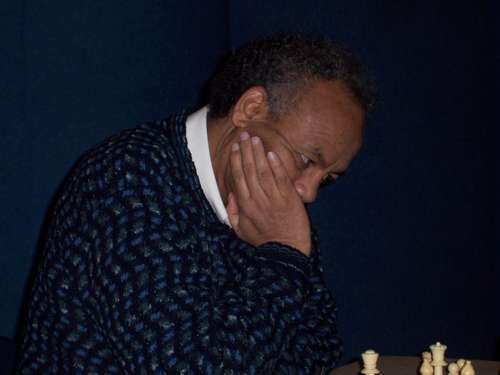 Menelik won this game on his way to a perfect score. 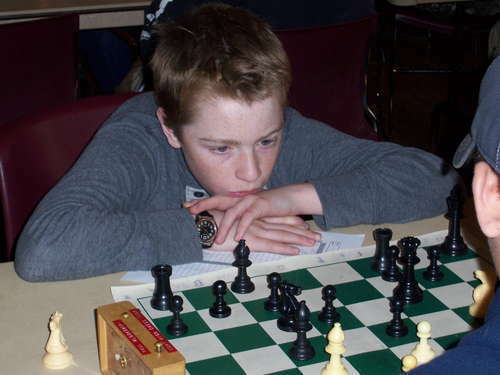 Young upstart Aaron Spencer scored some fine wins over higher rated players to tie for second in the Open section. Gillian Anderson was one of three girls participating in the event (the other two were Kaitlyn Haase and Laddy DeLuca Lowell). 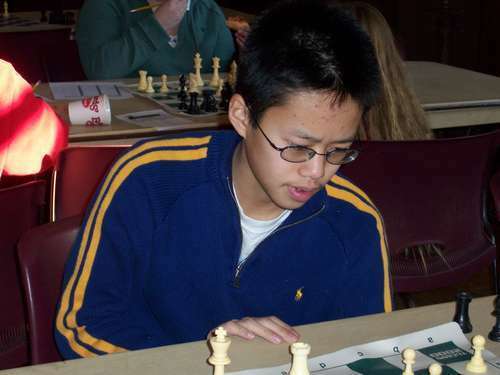 Henry Chai in his third round game with Paul Wlodkowski, Jr.
Kurt Eyerer attempting a Jedi mind trick on his opponent's pieces during his duel with Frank Kessler. 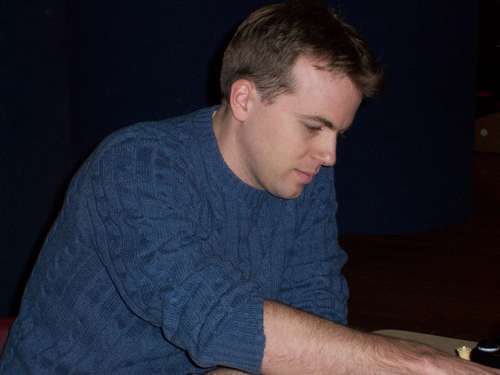 Paul Wlodkowski, Jr. scored two points in this his first USCF-rated tournament. Tournament Director Steve Wong striking a familiar pose. That is a classic picture of Max with all the big kids - especially the one to the left in the picture!